The popular Shopper bag with additonal drawstring cover. 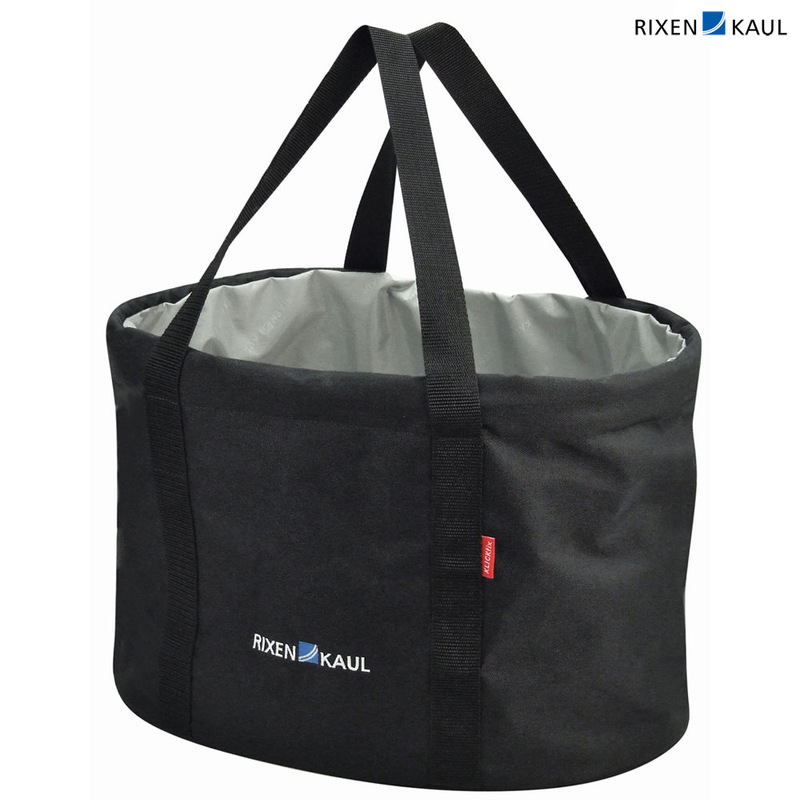 When needed the Shopper closes in seconds to keep contents safe and protected. Ideal for shopping. The spacious, flexible lightweight can be folded after use. Wide carrying straps. Strong material with two loops and a chromium plated steel bracket for KlickFix handlebar adapter.